If you have not heard about MMM and its live-changing potentialities, I’m sure you are not from this planet. Nevertheless, it is not new for ideals like these to be doubted even by those who have learnt about it due to some misconceptions. If you are going to be objective in your consideration of MMM, I have taken the time to address below most of the questions I have heard folks asking. 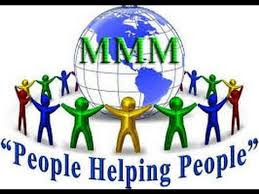 MMM is a global social networking community operating with a collective fund with the aim of setting members who are ordinary people free financially by providing and receiving help. It is quite noble in this greedy financial system because its ideals are in contrast to the basis of global operations of world’s major financial institution. It is not a company with profit in mind but it pursues equitable distribution of world’s wealth. It connects all the members through a website whereby those who need financial assistance will interface with those who desire to provide it based on the rules of operation. 2. Who Can Participate in MMM? Any Nigerian citizen or any legal resident who is capable of having a bank account can join MMM in Nigeria. There is no form of discrimination based on age, social status, profession, religion and ethnic or political affiliations in the community. 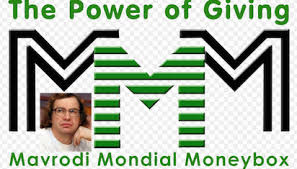 MMM does not operate on the principle of divide and rule. Rather the emphasis is laid on playing according to the recommended mode of operation and it doesn’t allow taking advantage of newcomers. 3. How Can I Register as MMM Member? It can be done in two ways. One option if to do it yourself online and the other is to go through one of an MMM guider. If you want to register directly, visit www.nigeria-mmm.net which is the official website of MMM and follow the registration process there. At the right up corner of the home page, you will see “Registration” button. Click on it and complete the registration with your personal information true to the best of your knowledge. You may omit some fields if you don’t know the answer to supply there. The ones that must be filled have been asterisked. The process is very simple because most of the questions are self-explanatory. Or you may follow a referral link. I just feel like quickly sharing some technical hints about some fields. In the field where you are required to supply your e-mail, gmail address is preferred. And be careful about your password to prevent identity theft. Make it strong enough to be safe and don’t use the one you can easily forget. If someone invited you, enter an invite code sent to you. Fill in your Guider’s e-mail address. Please note that by doing that, you are indicating that you want to be part of that Guider’s team. You must also read the “warning” section to be sure of what you are doing before you accept it and then click “Registration in MMM." 4. Who Is A Guider? A guider is a member of the MMM community who is more experienced and understand adequately the community’s modus operandi. He will act as a team leader and assist all participants in his team. He cannot demand that money be transferred to his account. His responsibility is to make his team members feel confident by answering their questions. Of course, they benefit from the activities of the participants in their structure in a multi-level system of bonuses. 5. Who Is A Referrer Or A Referral? The referrer is the member who introduced another participant into MMM and a referral is the participant who was invited. When a prospective participant clicks on the link you as a referrer sent to him, a registration form will come up for him to fill. He automatically becomes your referral. He will the use the invitation code sent to him by the referrer to register himself or the referrer might register the new participant himself? 6. Who Is A Trustee Or Trustor? A participant is expected to operate from his Personal Office. However, he is allowed to select someone who will create requests, process orders and do for him some other things he is supposed to do from his PO if he for a reason cannot do such. The person he chooses is his Trustee and the new participant becomes the Trustor. There two ways to become a trustee or Trustor. Firstly a participant from the onset can allow a Guider that registers him to act as his trustee. This is indicated during the registration process by the guider. The second way is by the participant act of transferring the right to operate his PO to his guider, thereby making him or her his trustee. The Trustee can access the Trustor’s PO from his personal PO. This relationship can be terminated at any time any of the parties feels inclined to do so by simply reversing the process through which it was established. And to prevent any abuse of rights, for a Trustee to perform a most important operation that has far-reaching effects, a confirmation code will be required and this is sent to the Trustor by an sms. So the Trustor cannot perform such operation without the consent of the Trustee. In addition, the Trustor gets a corresponding sms for the financial operation just carried out on his behalf with adequate in account information. 7. What Is A PO? PO is the abbreviation for a Personal Office which you create on the official site of MMM. You can operate from there as you would from a real office but it’s online. Once you register as a member of MMM, your PO is created where you will be given information regarding memberships. There you will also see information about your referral(s). Your referral link is also found in your PO which you will copy and post anywhere online for your potential referral(s) to use. Your PO is where you provide help, get help and confirm help. You can also enter and edit your personal contact, register another participant and manage his PO, get consultant’s support, adjust the time to get or receive help and forge a relationship with assistance recipients or providers. A section of you PO is referred to as Dashboard where you will find the gist of all your operation and it is the most often visited. There is also “Mavro” section that hints you about the current status of your account how soon the financial worth can reach a certain level. The “Account” section of your PO should receive a very careful attention so that there would not be any hitches in the calculation of your funds and in the confirmation of help. Your Personal Office may be locked or blocked if you don’t operate according to the rules. But you can find a way out if you contact your referrer or consultant to learn of the reason(s) for the blockage and the workaround solution. 8. What is the Legal Position of MMM? There is nothing legal or illegal about MMM. It is a basic community of members of a social network who have a mutual understanding about getting and providing help for each other. Participants voluntarily register to become members and are not legally bound to do so or remain members. The network itself does not have any financial dealings with the participants. They are only required to observe strictly the rule of participation and are encouraged to obey financial regulations of their countries in providing and getting help. Nowhere in the world can conditional donation and acceptance of such be illegal. Mavro is the standard unit of measurement of members’ contributions. It is not a currency that can be used as a legal tender to transact businesses and it’s not a financial asset. However, your Mavro indicated how much help you have provided and how much help you are entitled to get. 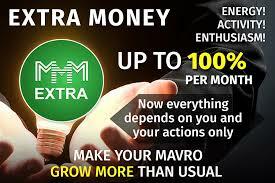 The bonuses a member gets from promoting MMM community, inviting new participants, providing other help for other members and so on are credited as units of Mavro. You can grow your Mavro as you increase your activities. The number of Mavro accruable, the growth rate and mutual aid programmes can be reviewed to ensure continued provision of help and stability of the community. If you check the “Mavro” section of your PO, you will see the growth rate of your Mavro and how it is calculated? 10. How Can I Provide or Get Help? Giving help is the same as buying Mavro. You provide help when you transfer money directly to another participant's account. You must have indicated your desire to give help by clicking “Provide Help” in your PO dashboard. Then you will fill the box with appropriate information that matches your intention to transfer fund. You may transfer the fund through Bitcoin network or through a local bank in naira. Please note that the maximum amount of help to be provided per participant together with the interest is pegged at ₦2.2m. Getting help is the other way round. It is the same as selling your Mavro. You will have money directly transferred to you by another participant. On your PO dashboard, select “Get Help” and continue to fill the form as appropriate. 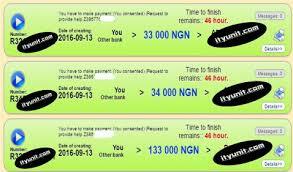 You will be shown the maximum amount of Mavro you can withdraw, your leftover Mavro and total current withdraw. You can click “all” if you want to withdraw the maximum available. In completing both the process of getting and receiving help, confirmation is required to be sent to provider and receiver of the help. 11. Is There A Limit to the Number of Helps I Can Get or Provide? No. As many times as you wish to provide or get help, you can keep on doing so. But you should check well before requesting for help. This is because you cannot activate another “Get Help” when one is still under processing. You will not be able to make changes to “My Page” and “Accounts” sections during the period. However, even while you are in the process of getting assistance, you can provide assistance. 12. Can I Change the Password to My Personal Office? Yes. However, you will have to wait for five days after changing the password before you will be able to make a “Get Help” request. The five days moratorium is imposed on your account activity to forestall a fraudulent use of your account by hackers. After the five days, you will be able to fully operate your account without any hindrances. 13. Am I Allowed to Have More Than One Account? No. This runs counter to the principle of “only one account for one person” upon which the community bases its trust and help. Anyone who creates more than one account is in effect deceiving and cheating other members of the community by obtaining additional bonuses not according to the rules. This is viewed as fraud in MMM and such members will have their membership terminated indefinitely and have their accounts blocked. That is why every participant should have a personal bank account or a Bitcoin address. If you share the same Bitcoin address with others, you have given them unfettered access to your money. So if you are yet to understand the operations of your PO, contact your referrer or appoint a Trustor pending the time you will be able to manage it well. Your PO email and your password are the keys to safe. Never share them. 14. Can My Account Be Blocked and What Do I Do in That Case? If a suspicious activity is carried out on your account it will be blocked. But if you are sure you are the one and are not fraudulent, you will write to SUPPORT. Attach to that letter your photo or a scanned ID to confirm your identity. You may be required to send a video recording of your explanation of the entire incident. Once the community is satisfied that you have not violated rules of engagement, your account will be reopened and your Mavro remains intact. 15. I Participate in MMM if I Don’t Have a Computer? Yes, you can. If you have a mobile device, you can log in to your PO. You will need to download the mobile app from the official site of the MMM only. Even if you have a laptop, you might find it more convenient to use a mobile version of MMM site. With these satisfying answers to these among other frequently asked questions, I believe that the most sceptical Thomas will have his doubts regarding this poverty-eradicating network cleared.